Wingert Filter Feeders eliminate the need for a separate bypass feeder and filter - all in one space saving, valve limiting design. 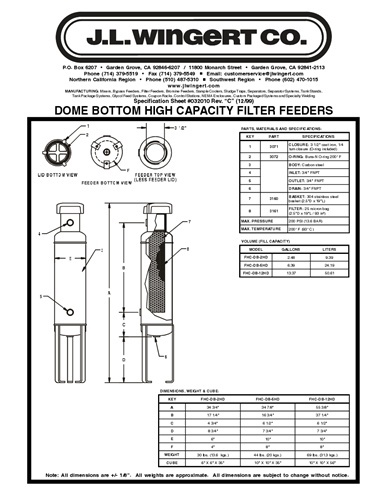 As rugged and dependable as our complete line of bypass feeders, the filter feeder offers ease of installation with precise filtering capabilities down to 25 microns. 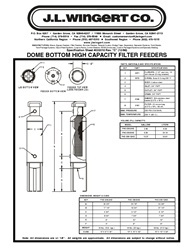 Wingert Filter Feeders are available in both flat and dome bottom models.